One of the many reasons I enjoy shopping at Homegoods. 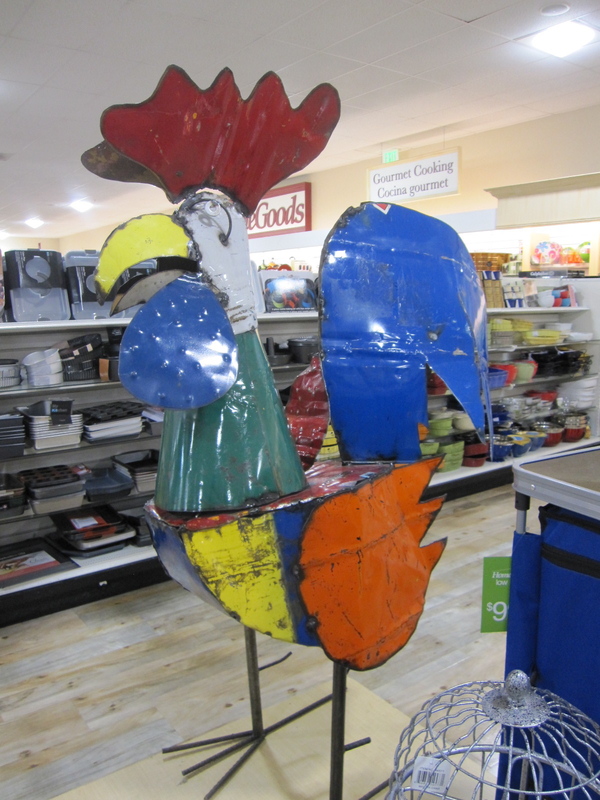 Yep it's a 6 foot welded metal rooster for a mere $199. Enough said! Hey where are the new posts?